A homecoming of sorts, for Sail Cowabunga! 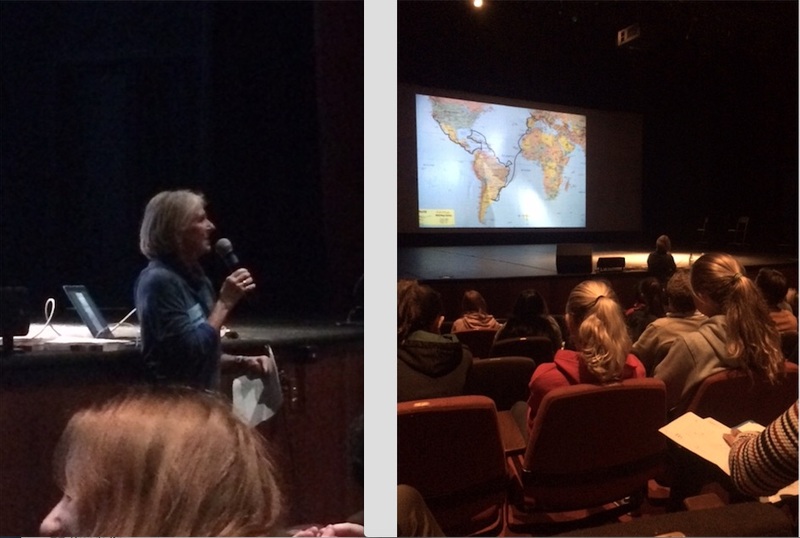 in a recent presentation to San Francisco's French Lycée Français 8th grade bilingual students. Sean and Brendan, who spent their first 10 years on Cowabunga, finished their primary schooling at the Lycée. These contemporaries learned how an infant and a toddler spent their young lives on a boat, incorporating two home cultures and languages as well as those of the countries they sailed to.